An influential investment blog says the number of analysts and investors still believing in Purplebricks’ growth story is dwindling - and it warns the agency may have to abandon its ambitious foreign expansion plans completely. Ten days ago Purplebricks’ suffered the embarrassment of being written down by a huge 80 per cent by the bank Berenberg; now The Motley Fool - a blog written by different analysts, all aimed at giving long-term advice to individual investors - says even this dramatic write down may be insufficient. The Fool, as it is known, says that while star investment adviser Neil Woodford remains faithful to Purplebricks - his investment management firm remains a 28.88 per cent owner of the agency - few other analysts remain hopeful. And it says it’s easy to see why. "In recent weeks, the company has warned that its growth may not be as strong as expected and at the end of February, management informed investors that revenue for the 2018/19 financial year would sit between £130m and £140m. Only three months previously, alongside its interim results in December 2018, the firm declared full-year revenues would be £165m to £175m” says the blog. It adds that such a significant change usually means either the management doesn’t what it’s doing or the market is deteriorating further. "I think it is likely to be the latter" says Fool analyst Rupert Hargreaves. "Purplebricks’ low-cost, upfront fee model works when the property market is booming, and properties sell themselves, but when the going gets tough, properties don’t sell themselves, which is where estate agents earn their fees. Purplebricks hasn’t really been around long enough to prove that its model can work in a property market downturn, and this concerns me" he writes. Hargreaves says Berenberg’s target price for Purplebricks - 80p - is some 45 per cent below current levels but he warns: "If the group’s revenue outlook continues to deteriorate, I don’t think this target is bearish enough. Unless the company abandons its global expansion plans, there is a strong chance it may run out of money altogether, and shareholders may not be willing to support a business that is unlikely ever to be profitable. With this being the case, I think it is worth selling up and moving on to better opportunities." 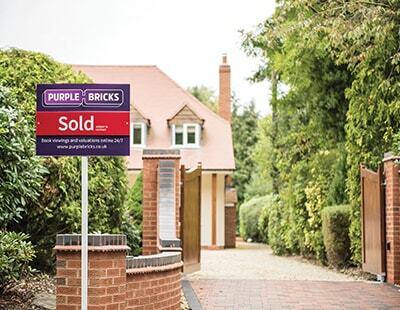 Poll: Is Purplebricks going to survive? Can't help feeling that the LPE's are not earning enough per sale for the time required to do research, give great advice and wicket keep the sale if sales progression at HQ is not as effective as needed. It works ok for them if their stock options are increasing in value but real issues emerge if they are not. There is one short paragraph in this article that reads "It adds that such a significant change usually means either the management doesn’t what it’s doing or the market is deteriorating further"
Market is doing fantastic !!! I have had my best first quarter start to the year for ten years. Everyone not doing well blame Brexit, they usually do. The sooner this purple tricks goes down the pan, the better for absolutely everyone except those poor LPExperts ha ha and the investors trying to get rich and failing horrendously. Such a shame. NEVER IN THE HISTORY OF PROPERTY, HAS SO MUCH BEEN SPENT BY SO FEW.